On par with the beautiful Icefields Parkway, the Sea to Summit Highway is a stretch of curvy coastal road which departs Vancouver, in southern British Columbia, all the way 120 km to Whistler further up north. Due to the fact that Vancouver is a top spot for holidaymakers to start a road trip to Calgary through some of Canada's most beautiful landscapes, the sea to sky highway makes for a great starting point. 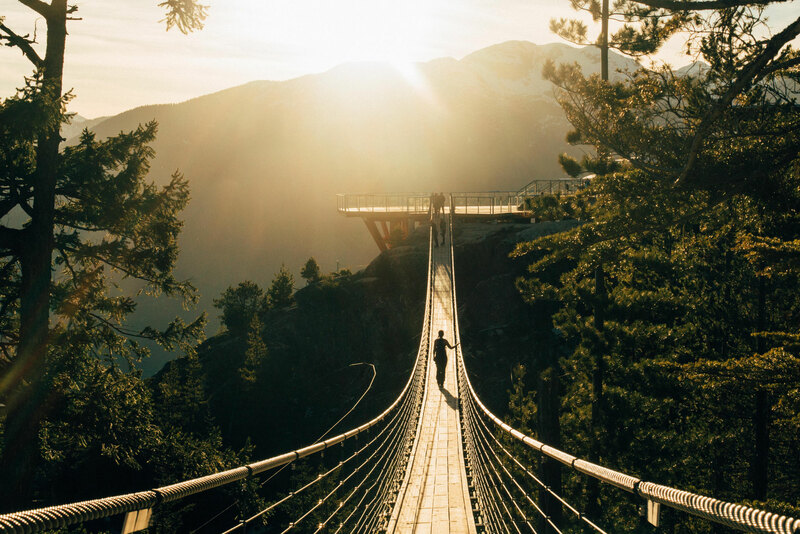 From the lush temperate rainforest of the Pacific coast the road twists and turns, undulating until it reaches the one of the most superbly located resort towns in the Coast Mountains: Whistler. The Sea to Summit Highway has a great deal of activities to do, hikes to undertake and places to photograph. Even though it can easily be driven in under 2 hours, I would highly recommend at least 2 days if you want to make a decent dent in all the possible excursions. I have personally spent over 2 weeks exploring and photographing the area and I still feel like I left many stones unturned. Tips for travelling along the Sea to Sky Highway (Route 99) from Vancouver to Whistler. First and foremost. Don't try to rush it. Even though 120 kilometres may not seem like a lot, doing it all in one day will be a bit of a waste. I always tell everyone who plans a road trip holiday to take it easy and not to squeeze in too many attractions in too little time. 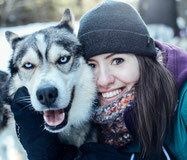 Try to stay AT LEAST one night in Squamish and one night in Whistler. Having your own vehicle is a must. It will give you the freedom of stopping whenever you want. If you are coming from abroad rent one! Discover Car Hire is a great search engine for finding the best deals on compact cars. Many visitors to Canada choose to do their road trip in a campervan. I personally have done it in a self-converted minivan and think there is no better way to see this country. Motorhome Republic will help you compare the prices of all the major campervan companies and help you choose one tailored to your needs and budget. 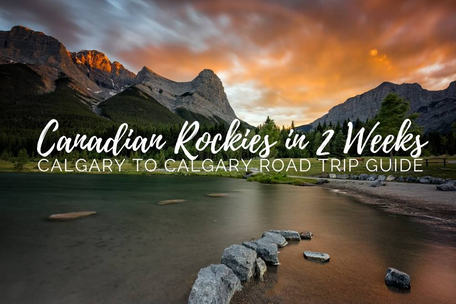 The highway is open all year round with the occasional closure due to either mudslides or avalanches. The peak months however are from May until October, with June to August being most popular. This is when driving conditions are optimal and most of the campsites are open. Fauna and flora are emerging from the winter blues and a lot of the hikes become possible without expert avalanche experience or equipment. Do bear in mind however that in May there will still be a lot of snow up in the mountains. 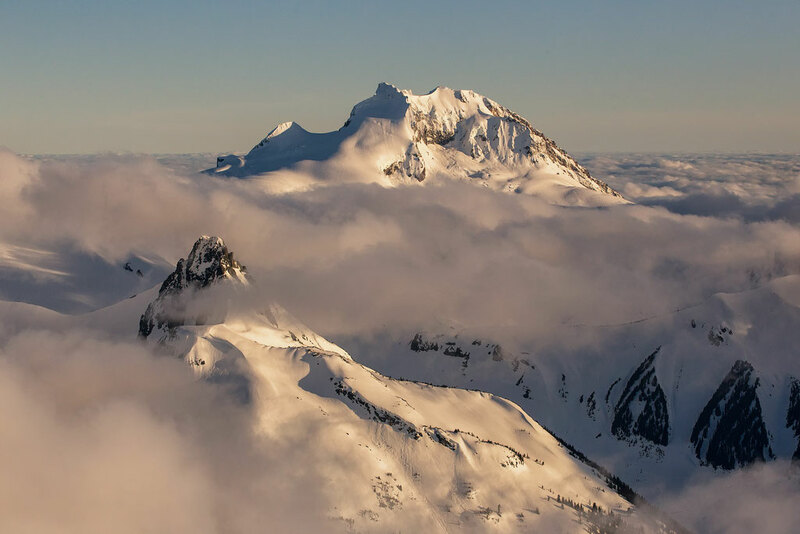 Whilst some hikes in Squamish will be accessible, most of the hikes in Garibaldi Provincial park won't be doable due to avalanche risk. If you plan on hiking try to plan your trip for July, August or September, with the latter being the best month, with less crowds and optimal conditions (not too hot or cold). Below you can find the map of the itinerary. Click on the icons on the map to see names of the places I have marked. I will be talking about them as I break down the itinerary day by day. 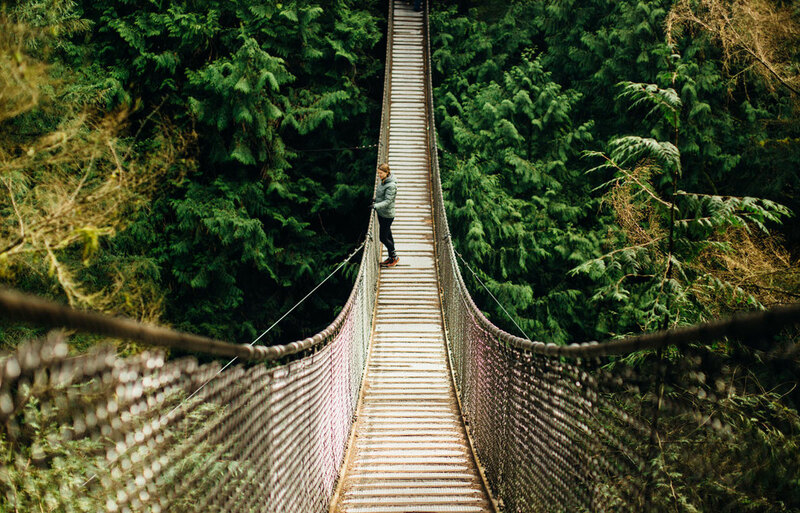 10 must do's along the Sea to Sky Highway in Canada. 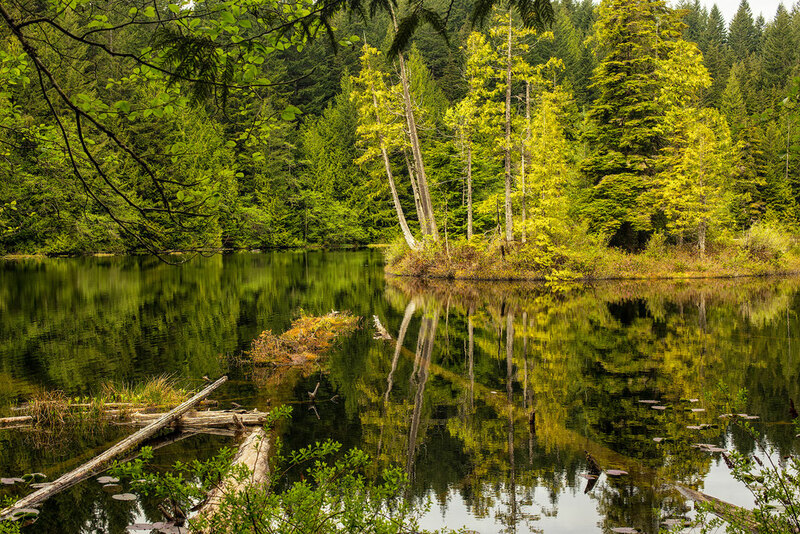 Lynn Canyon park opened over 100 years ago in 1912 and has been a popular tourist destination since. It’s a great location for an afternoon picnic or an early morning stroll. If you want to have some time on the world famous suspension bridge all to yourself try getting there when the park gate opens at 8am. If you do forget to bring some snacks, there’s a reasonably priced café. After timidly walking across the 50-metre-high suspension bridge, dangling above the raging waters in the canyon below it’s time to be back on safe solid ground. Hit the road west towards highway 1 which will soon turn into Highway 99. One of the first points of interest on this route is the Horseshoe Bay Ferry Terminal. If you’re thinking about going on a short road trip to Vancouver Island this is the best place to get the ferry from. When I was driving along the eastern shore of Howe Sound, I felt like I was back in Milford Sound in New Zealand. 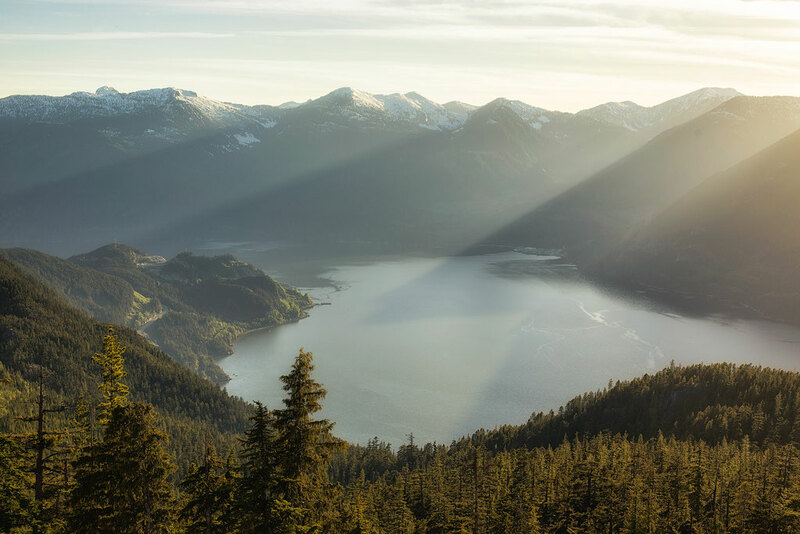 The Howe sound is a series of steep coastal mountains which abruptly emerge out of the ocean inlet. There are many waterfalls coming down the sides of the mountains, but one is more famous than the rest. 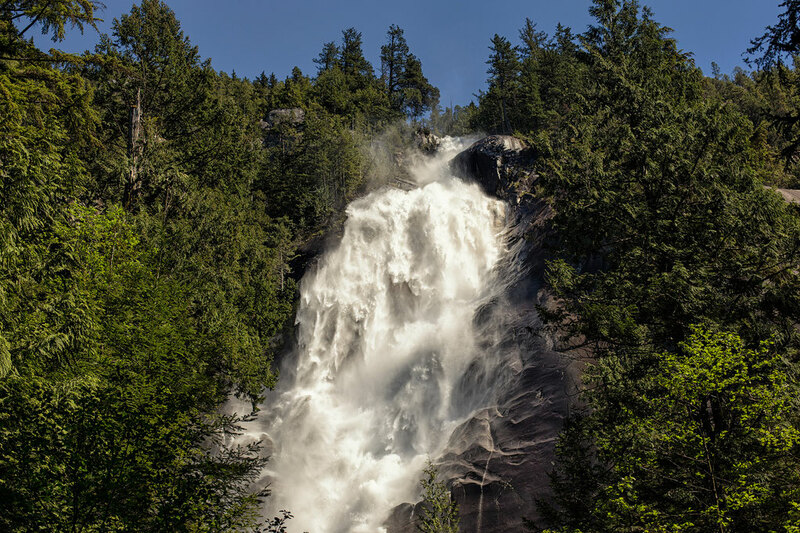 Shannon Falls are the third highest falls in British Columbia, cascading down from over 335m. Even though I personally found the falls a bit overcrowded I still think everyone should make a stop here and make up their own mind. The falls are super easy to get to after all. There’s a number of trails and viewpoints, from the 200m base trail to the more advanced upper viewpoint achievable in ca. 30 min. The parking situation at the Shannon Falls is a bit ridiculous and there are certainly more cars than spots during the high season, with drivers becoming quiet aggressive when fighting for spots. I thought I would just throw it out there to warn you. 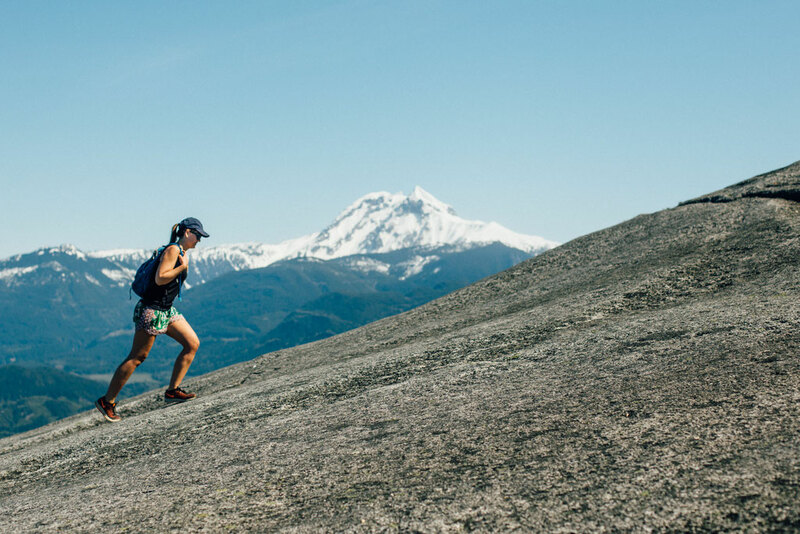 The Chief, the most prominent rock face in Squamish, is not only great for avid rock climbers but for hikers too. From the trailhead the path leads past several lower elevation viewpoints, and after a series of wooden steps and segments of a well-trodden dirt path you eventually emerge victorious on top of the first peak. It took us 2.5 hours to get up and down the first peak with a 30 minute rest at the top. Personally I think either the first or the third peaks are the best. 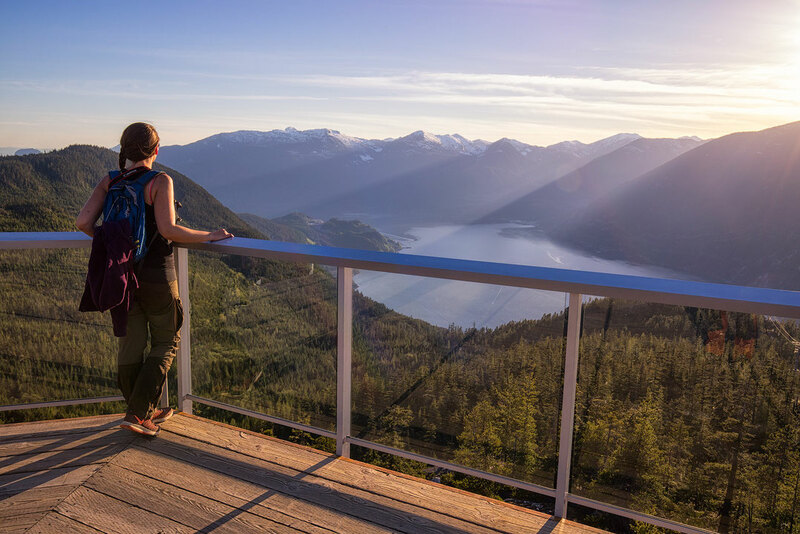 The first offers incredible views of Howe Sound, Mt Garibaldi, and over the town of Squamish. The third gives you views towards Garibaldi Provincial Park. All peaks encumber the use of ladders and chains to get to the summits. And did I mention steps? Only a few hundred! 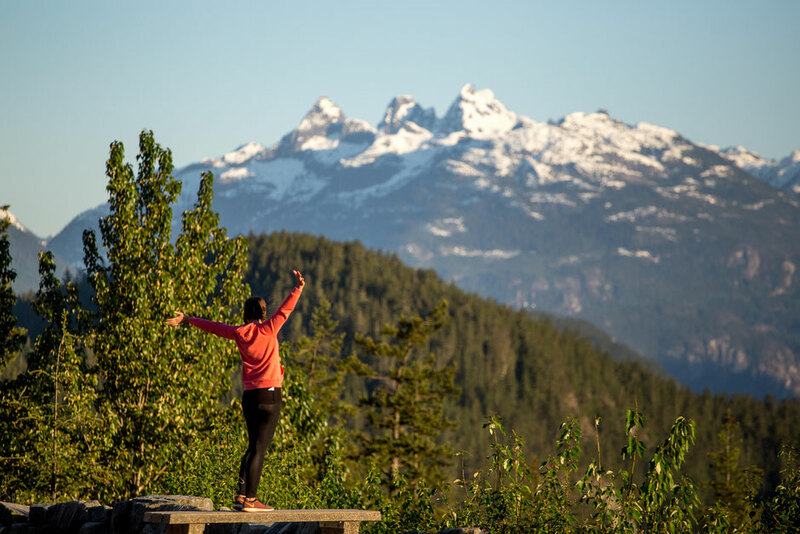 The little town of Squamish located at the foot of the mountains is a perfect base for your first night on the highway. If you plan on camping stay at either the Stawamus Chief Provincial Park (tent only) or the Alice Lake campground with the second being my personal recommendation. 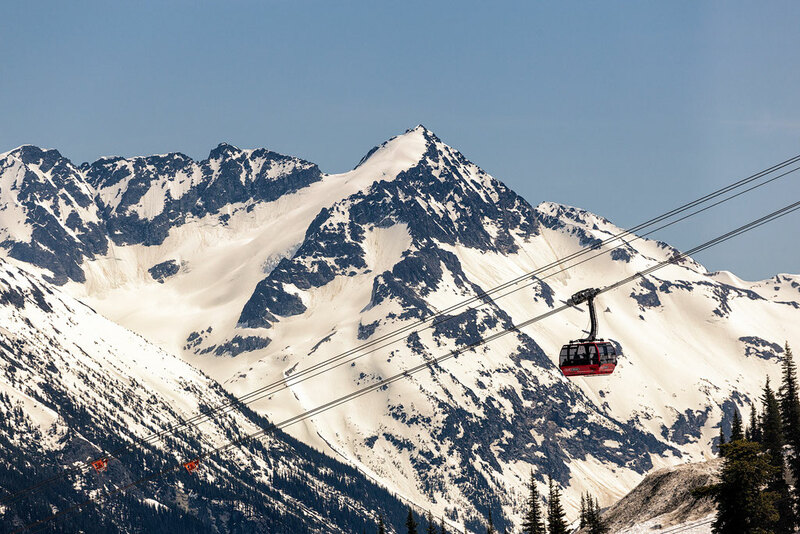 If you’re not into hiking or simply want to experience both, take the Sea to sky Gondola almost 900m up the side of Mount Habrich. 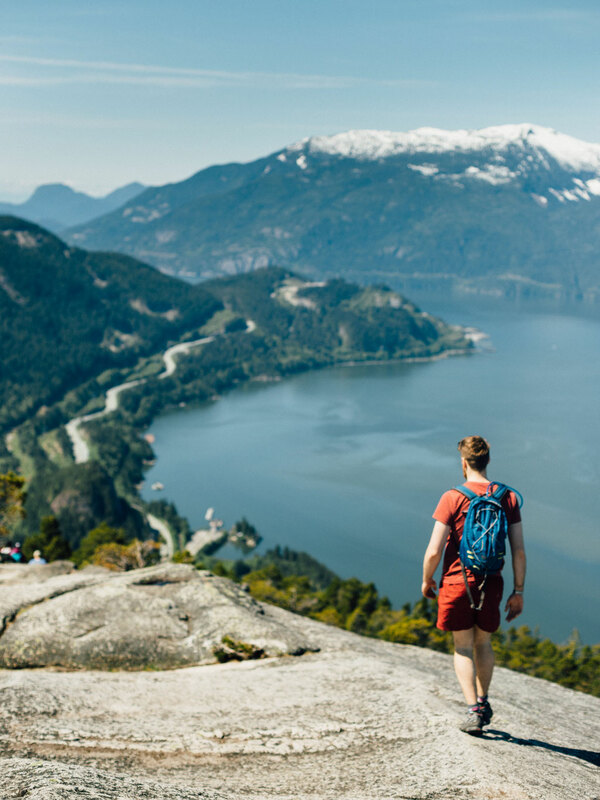 The views into the Howe Sound, little town of Squamish and over the Chief, which hopefully you have hiked up to in the morning are breathtaking. Once at the top there is a myriad of hiking to do with the most popular panorama trail. 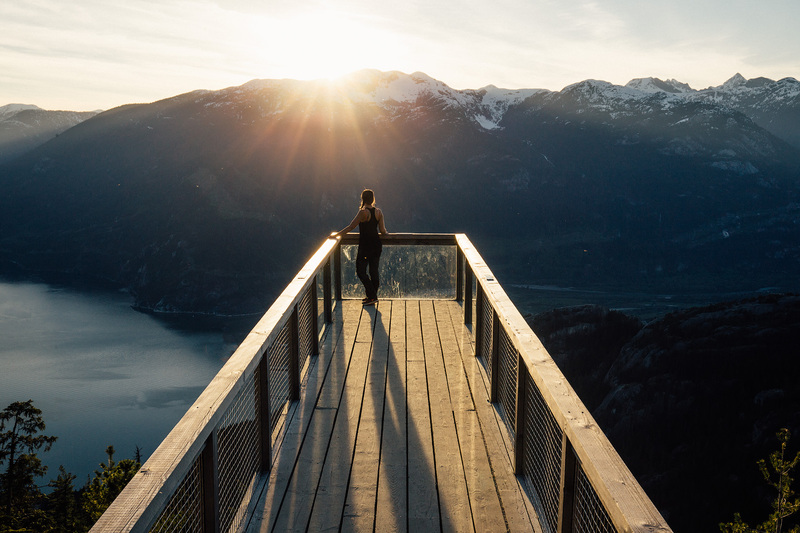 It will take you to an awesome viewpoint above the Chief. The tickets cost 40$ per person, with a special 50% sale going on Saturdays if you visit after 5pm. The gondola stays open until late in the evening giving photographers like me a great chance to capture the golden light and sun rays coming through the mountains. 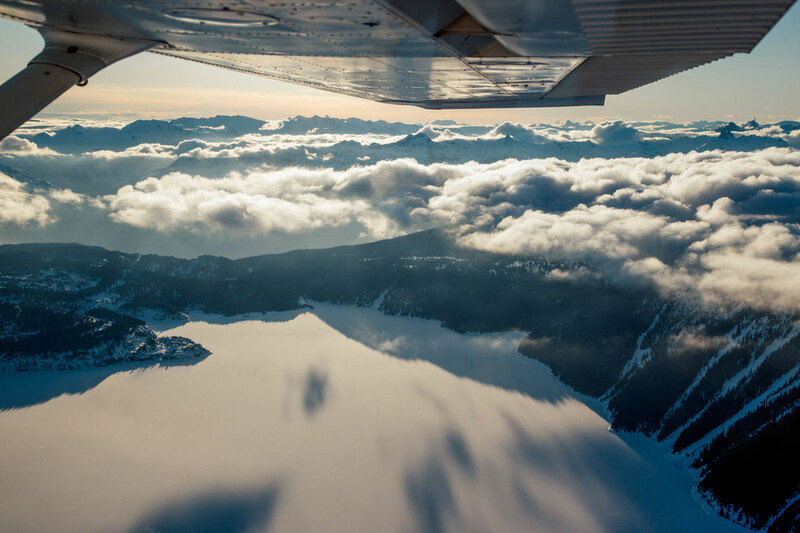 One of the best things I did was a scenic flight above the beautiful coastal mountains and Garibaldi Provincial Park. Much different to any of the scenic flights I've ever taken in the heart of The Rockies, the coastal mountains are greener, with wider valleys and deeper gorges. I went with a company called Sea to Sky Air. 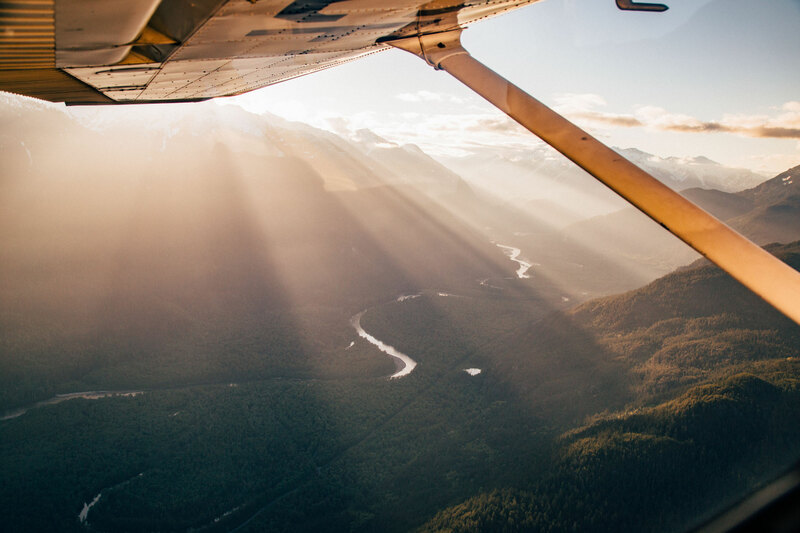 They offer the option of having the window open in their Cessna planes for unobstructed photography. Our flight was scheduled for early evening and I have to say, it was the highlight of my trip along the Sea to Sky highway. As soon as we took off I was greeted to an incredible view of crepuscular sun rays cutting through the mountains. 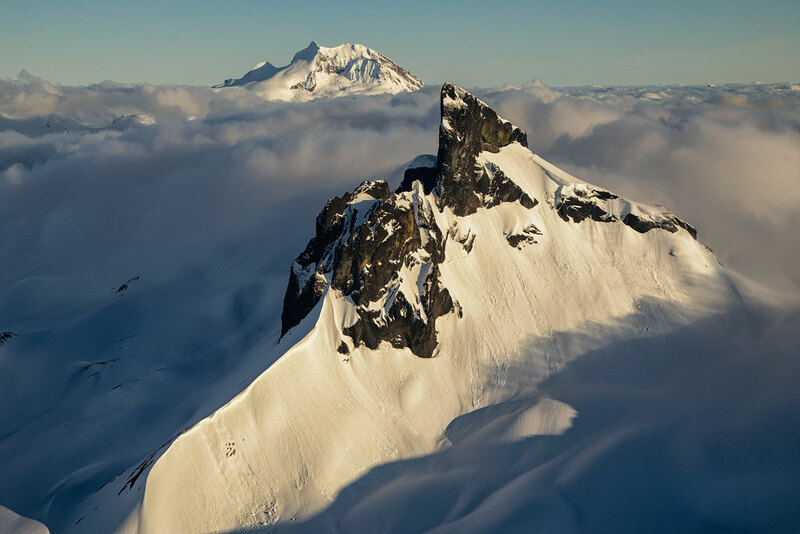 We then continued soaring above the thin clouds, hanging low in the valleys and below two of the most prominent peaks in the park: Mount Garibaldi and the Black Tusk. I don't think any photos can do the justice of what I saw with my own eyes. I seriously didn't know which way to look and screamed from excitement like a little child! If you get a chance do this flight and try to schedule it for late afternoon for the best possible light! Starting near the campsite at Alice Lake the 4 lakes hike takes you to 3 of the best lakes in Alice Lakes Provincial Park….. Just kidding it takes you to 4. Just wanted to keep you on your feet. The path that is a relatively flat 6.5km loop can be done either clock or anticlockwise. Keep an eye out for mountain bikers who like to use some of the paths too. Nowhere near as good views as the chief, I like to see this as a relaxed stroll with a picnic, as opposed to a scramble to a summit. Just north of Garibaldi the Brandywine falls are very impressive, more so than Shannon Falls in my opinion. The viewing deck is a 2.1km uphill hike that should take around 30 minutes to complete. At a height of 66m it’s less than a fifth of the size of Shannon Falls but you have probably heard before, that size doesn't matter, right?! In my eyes the Brandywine Falls are way prettier. I have felt the urge to discover a bit more and scrambled down to the bottom of the falls. It can be a bit dangerous and the last thing I want to is get you into trouble. 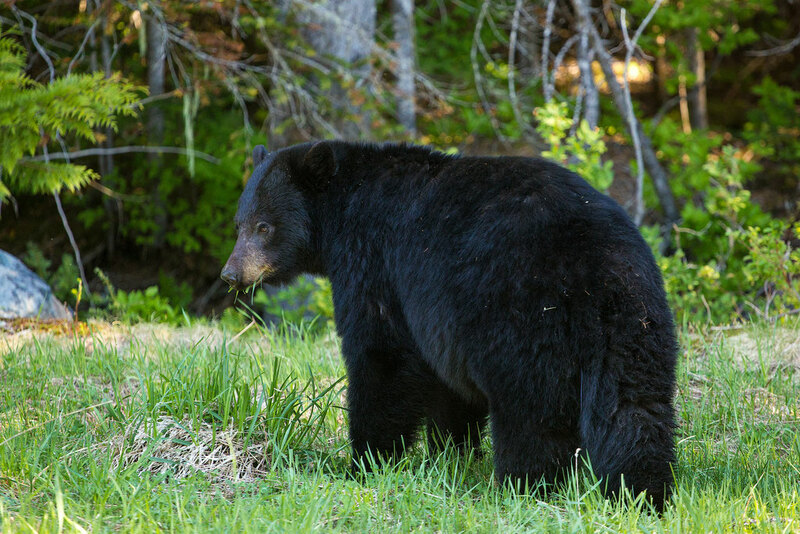 Visiting Canada without seeing a bear is like going to a concert and not hearing any music. 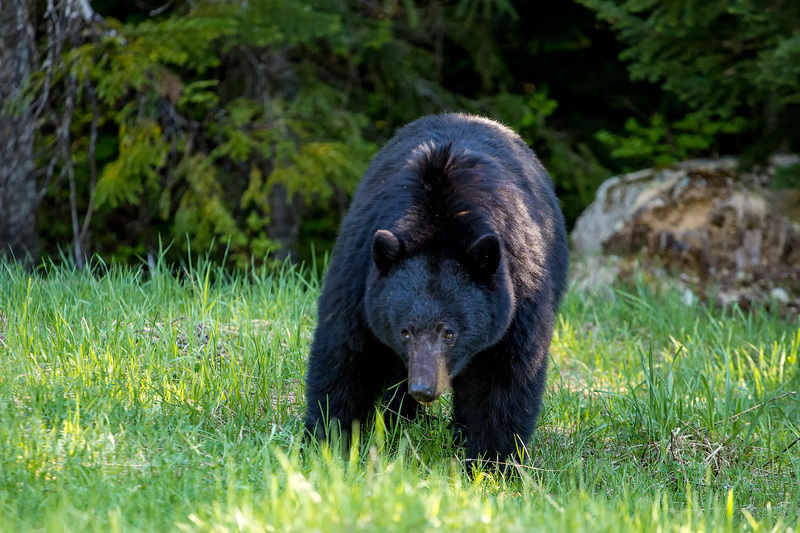 Whether in Squamish or in Whistler you should be able to spot at least one black bear. In fact I spotted one even when I wasn't actively looking for them. The bear was munching on dandelions right next to the car park in the town centre! During one morning I've decided to go on a self organized bear safari. My boyfriend & I drove down the Callaghan road (around 10 km south of Whistler towards Whistler Olympic Park) known for high black bear activity and within a couple of kilometres there was one bear feeding on the side of a road. It didn't seem to care about the presence of humans and I got a chance to take many great photos from a safe distance whilst sitting in the car. Around half hour later I spotted another one driving down the Alta road closer to Whistler. Just remember not to feed any wildlife. Fed bear is a dead bear. 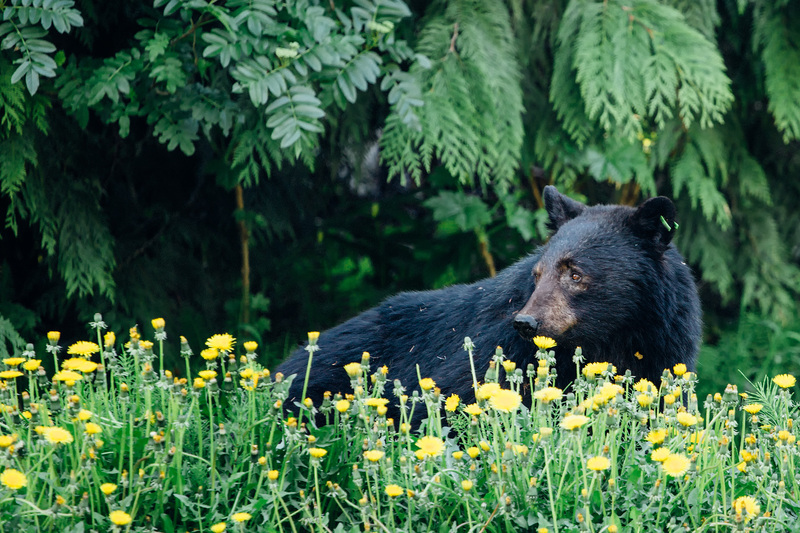 If bears become too accustomed to humans they become a threat to us and have to be destroyed. So again. 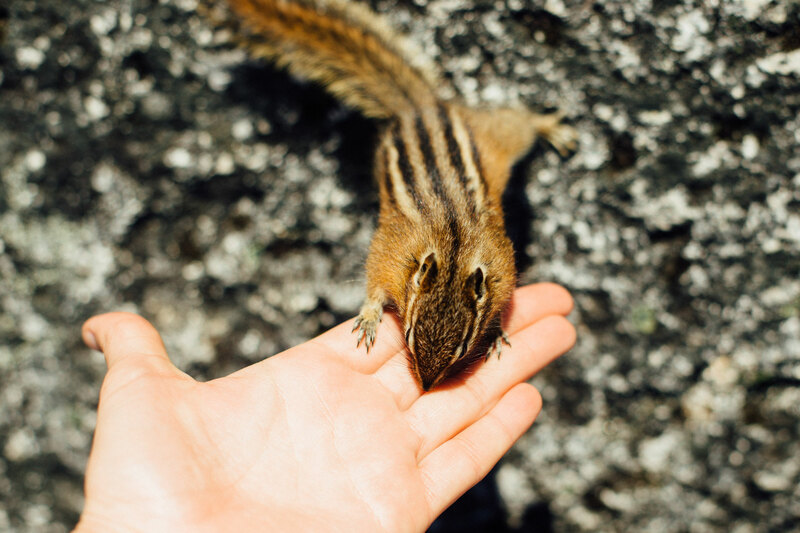 DON'T FEED THE WILDLIFE, leave behind any food scraps or put trash into overflowing trash cans. Tip. When on Callaghan road make sure to check out Alexander Falls. They are quite impressive too! 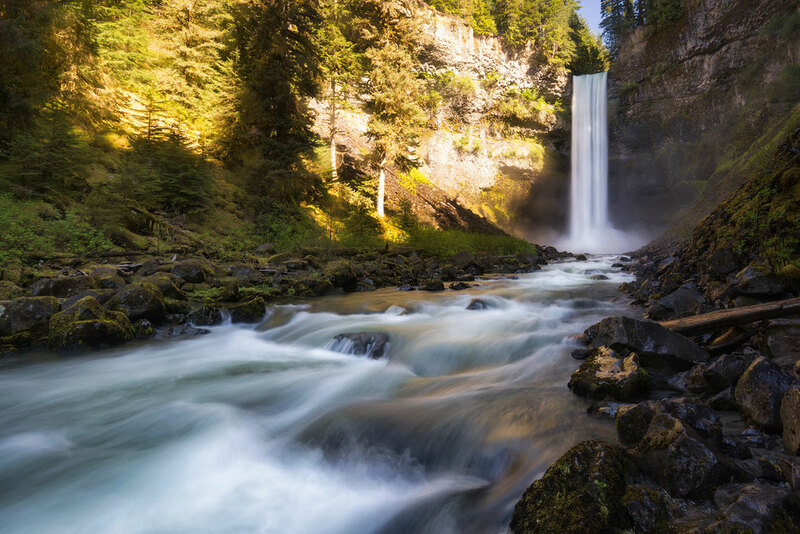 A very affluent mountain town Whistler, or Whistralia as the locals started calling it due to high Australian backpacker population, is situated in the valley between the headwaters of the Green river and the upper-middle reaches of the Cheakamus river. 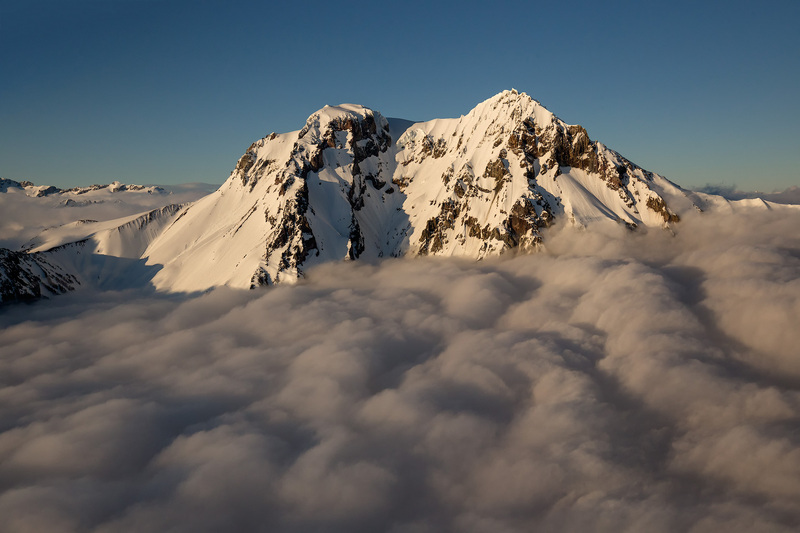 The access to the skiing on the Garibaldi ranges makes it an extremely popular winter destination. When the ski season finishes, normally at the end of April, the gondola closes for a few weeks then reopens up to the summer hikers. 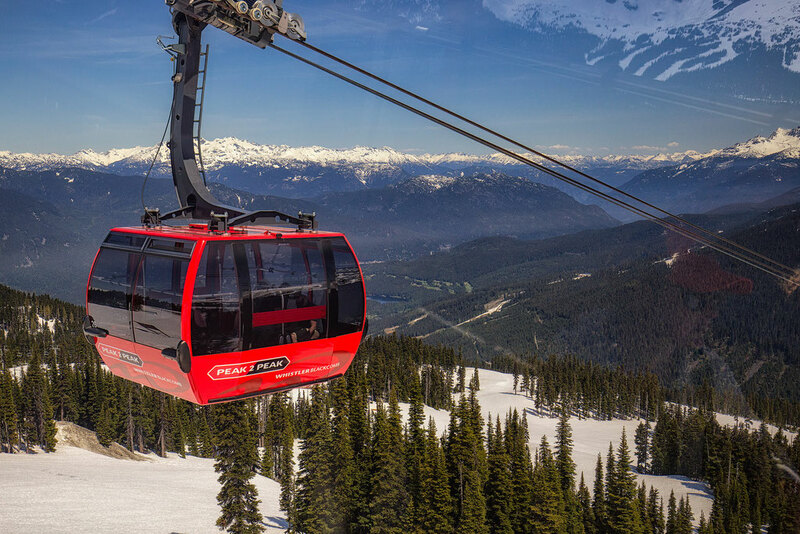 The Peak to Peak gondola gives you access to two stunning mountains with over 50+km of hiking trails. 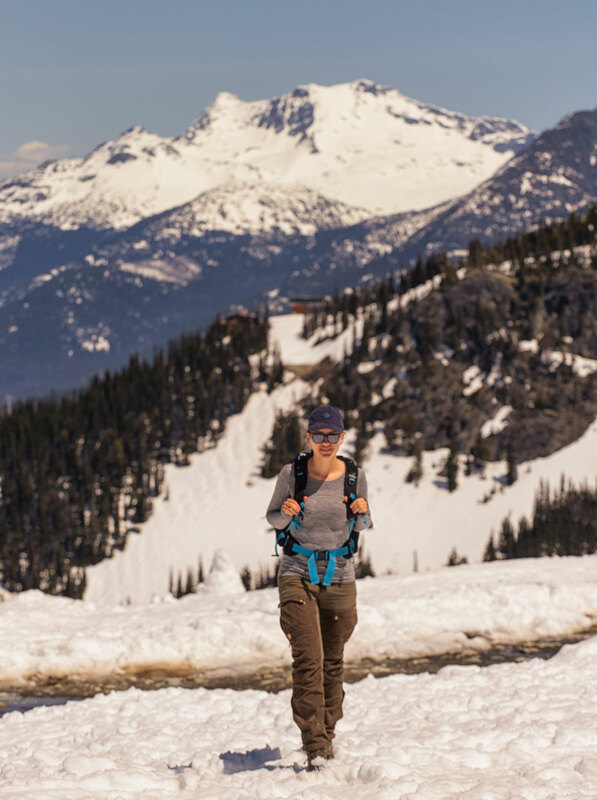 I was hoping to spend the whole day hiking the peaks of the mountains surrounding Whistler. I was so grateful I didn't have to drag my camera equipment up a mountain and could spare my energy enjoying the ride to the top and hiking along the ridge lines. Unfortunately mother nature had different plans for me. There was still so much snow up on the top at the end of May, the hiking areas were fenced off due to high avalanche risk. Instead I've opted to ride the Guinness World Record breaking Peak to Peak Gondola few times and enjoyed the views suspended up to 450 metres above the ground between two peaks! The ride was exhilarating to say the least, a must do when in Whistler! Garibaldi lake still frozen and covered in a thick blanket of snow in mid May! Taken during a scenic flight. 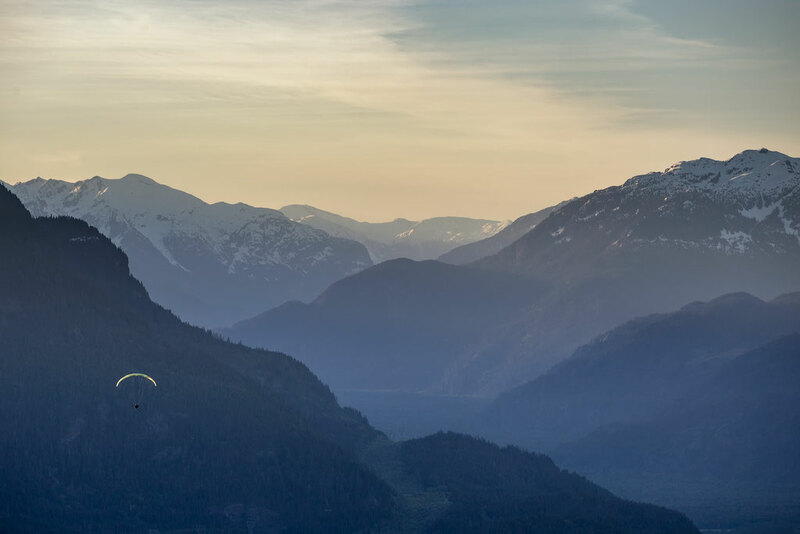 In the summer Whistler turns into mountain biking capital of Canada and an awesome hiking hub. If like me you are into the latter and have a spare day in Whistler consider trekking to Garibaldi lake or further to Panorama ridge. 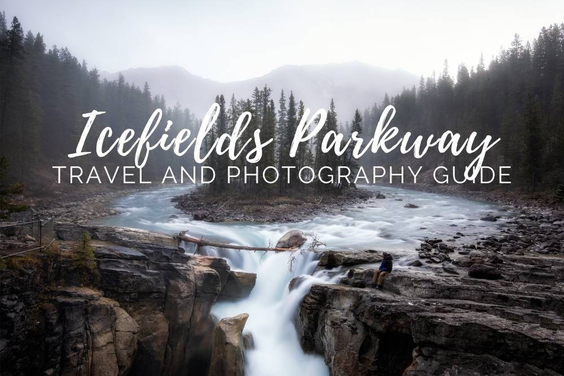 This 16 km (or 30 km to the ridge and back) hike crosses through some of the best landscapes of the Garibaldi Provincial Park. 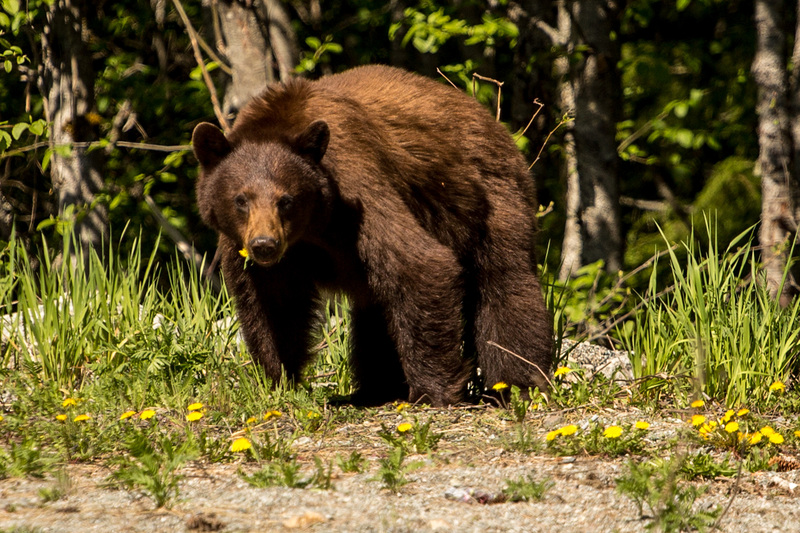 Most people decide to do it overnight and camp at a halfway point at either Taylor Meadows or Garibaldi lake campgrounds. Bear in mind that even in July there may be snow on some sections of this trail. I have travelled along the Sea to Sky Highway in May and again due to avalanche risk I wasn't able to hike it. Instead I have opted for the overnight hike to the Elfin lakes, which is accessible all year round. Panorama Ridge however still remains very high on my list of hikes I want to complete in Canada, so I will definitely return to this area. The trail access is at the Rubble Creek parking lot 28km south of Whistler. Whistler marks the end of the Sea to Summit Highway if you plan on going further I will be soon releasing a full travel itinerary from Vancouver to Calgary. Tantalus lookout 10 km past Squamish towards Whistler. I hope you are going to listen to my advice and stay at least a couple of nights along the Sea to Sky highway. To save you time researching for accommodation I've compiled my recommendations below to make your planning easier. Bear in mind that if you are travelling in high season July - August I would highly recommend booking your accommodation as far ahead as possible. 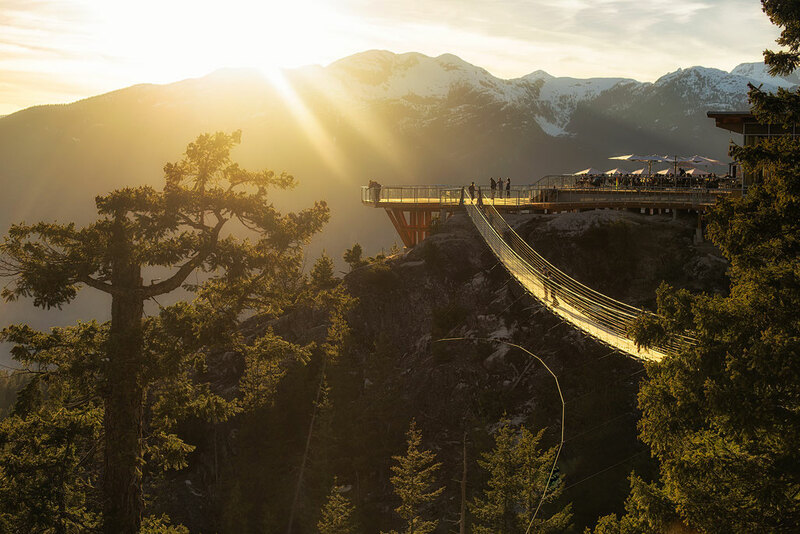 Do you have any questions or need advice regarding travelling down the Sea to Sky highway? Post them in the comments! Some of the links in the post are affiliate links, which means if you use them for bookings I get paid a small commission, at no cost to you. I would very much appreciate your help so I can create more useful posts like this! Thanks. Thank you to Sea to Sky Gondola, Whistler Peak to Peak Gondola and Sea to Sky air for hosting me on this trip. All opinions and recommendations are true and my own.